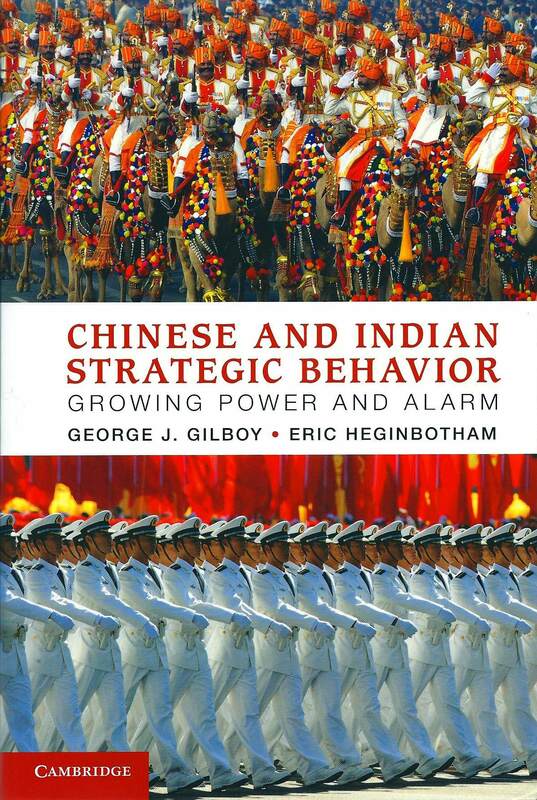 C. Raja Mohan has reviewed my book Chinese and Indian Strategic Behavior, co-authored with Eric Heginbotham. Much like Harold Isaacs in the late 1950s, George Gilboy and Eric Heginbotham set out to challenge a dominant assumption in the current American debate on the geopolitics of Asia. The heart of the book is a solid and very valuable empirical assessment of the international behavior of China and India since the middle of the 20th century. Its political realism is refreshing. While this insightful volume is addressed to American audiences, it should also help the Indian strategic community develop a pragmatic view of the possibilities and limitations of the partnership with the U.S. in coping with the rise of China. To see Mohan’s full review, click here. Eric and I are gratified by Mohan’s comparison of our work to Harold Isaacs’ book, Scratches on Our Minds: American Views of China and India. Both of us have a long way to go before we can be considered in Isaacs’ league. But we have a delightful if indirect personal connection to Isaacs in addition to any intellectual comparison. Isaacs’ book (and a meeting with Isaacs himself) provided the inspiration that lured our teacher at MIT, Richard Samuels, away from engineering and into the field of comparative politics and international security. So for us, no Harold Isaacs = no Richard Samuels = no Ph.D’s. We’re grateful for the connection! India is promoting an alternative system of internet governance and security, based at the United Nations. The U.S. opposes U.N. control of cyberspace regulation. Given that both India and the United States value freedom of speech and expression, why the divergent approach? One part of the explanation may be that the Indian government’s tolerance for freedom of speech on the internet is more limited than most westerners think. Segal notes that New Delhi has not pushed to confront Washington on this issue recently. However, like other issues at the U.N., the divergent U.S. and Indian agenda for regulating the internet is a fairly accurate reflection of the state of U.S.-India relations. In contrast to assumptions that cooperation will naturally emerge from shared democratic values, the true state of U.S.-India alignment on global issues is a mixed picture. Americans do share many values with Indians, but the two countries are very different democracies. Washington and New Delhi face different domestic realities and different regional strategic environments. The U.S. must work to secure Indian cooperation on global issues, it can’t take that cooperation for granted.